My Twitter feed is filled daily with someone or another putting out the word that “We’re Hiring!” It would appear that there is a massive gap in SEO skills vs. SEO jobs available. Perhaps LinkedIn was right when naming SEO/SEM as the fifth “hottest skill” of 2014. If you’re in a big city, the competition is fierce. If you’re in a small town, the talent pool runs shallow. So what’s the answer? Simple – hire smart people and give them proper training. There was a time in America that employee training was a staple of every industry and not just manufacturing and skilled labor. Every cashier, stock clerk, and salesperson went through an extensive period of training before they ever performed a job on their own. That all changed when executives like GE’s Neutron Jack Welch began a trend of right-sizing downsizing staffing levels to the point where there was no one left to train new hires. What I am proposing is a return to the days of employee training. Not for the sake of nostalgia, but out of necessity. Here’s the good news. The vast majority of SEO skills are non-technical or semi-technical in nature. They are teachable in a relatively short period of time. The better news is that large supplies of freshly minted, liberal arts grads are now looking for work. Among them are many smart, hard-working, candidates that could be a great addition to your team. Of course, there is an expense involved in training, but here’s the best news of all – the training materials that you need are FREE and readily available on the web. Not just blog posts or tutorials (which are fine for some things), but full-blown MOOCs (massive open online courses). Following is a suggested syllabus for developing an organic search specialist. This could be useful to agencies looking to train employees, recent grads looking for an edge in landing a digital marketing job, and novice SEOs still learning the discipline. The best place to start is the beginning and there’s no better source than Google. The first assignment is to read and understand the 32-page Google SEO Starter Guide. This guide alone is enough to get a new recruit familiar with SEO and competent enough to perform basic SEO tasks. This MOOC was also built by Google. In this short course you’ll learn how to optimize any website for speed. There is a growing demand for speed and a faster user experience. Speed is also a ranking factor, which I expect to pick up more weight over time. This MOOC examines how users interact with a Web page and website. The course provides an overview of the general principles of UX. You will learn about techniques and tools used to create a great user experience. You will also learn about the design process and how user-centric design can fit into traditional software development cycles. Keeping in mind that our candidates are likely to be non-technical types, I am not recommending a full-blown course here. Instead, The Perennial SEO Audit, created by Purna Virji covers the basics and even provides a framework for regular review to ensure peak performance. There is probably more material written on this subject than any other SEO topic. In terms of a simple, straightforward, and effective approach, it’s hard to beat this Step-by-Step Guide to SEO Keyword Research. The basics are covered well in the Google Starter guide. A number of free tools are available to assist you. One “advanced” optimization technique, marking up content with schema, is detailed by Google in Webmaster Tools > Help. Once you’ve finished optimizing your site, analyze it using the free Microsoft SEO Toolkit. Download it here, turn on IIS Services, and install. Writing for the Web is different from print writing. Understanding the difference is incredibly important in order to be effective. Because of the interactive nature of the Web, it begins with understanding user behavior. This MOOC will teach you how Web design, writing style, structure, and search engine optimization can all affect that behavior. Content strategy practitioners know how to use words, pictures, video, social, and mobile media to interact with users. 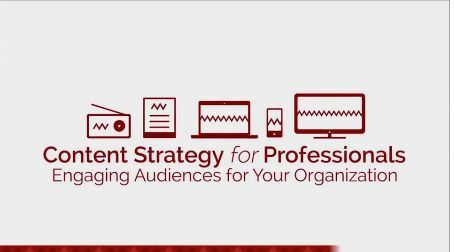 The Content Strategy MOOC, developed by Northwestern University, teaches you how to better understand your audiences. It also focuses on ways to develop strategic content to convey and achieve important goals. Paul Schmidt created this guide for HubSpot, introducing people to the fundamentals of local SEO. The guide focuses on three primary things on-page signals, local profile pages, and inbound links and citations. According to the author, “This guide is intended to be a local SEO jumpstart…,” which is a very accurate description. Focus external link-building efforts on the acquisition of editorially given links. These are links requiring human intervention and approval. Build links that are relevant – on pages where the readers would have a genuine interest in your website. Quality trumps quantity. A few links from high trust/authority websites will have more impact than hundreds of links from “Made for Guest Posting” blogs. Webmaster Tools, a free service provided by Google, helps you monitor your website’s presence in Google Search results. Using GWT can help you understand how Google views your site and help you to optimize for peak performance in search results. Learn all about Webmaster Tools by navigating to Webmaster tools > Help. These courses are designed to teach the core principles of digital analytics, including how to build a useful measurement plan and how to get started with Google Analytics. Once you have all of this great knowledge, it’s time to run a campaign. This MOOC shows you how to coordinate multiple online marketing channels into a cohesive, money-making marketing campaign. All bases are covered, including how to create a design based on the way that customers make decisions, how to calculate return on investment, and how to connect different marketing channels. The amount of digital marketing resources available on the Web is overwhelming. Much of it is outdated, or worse yet, up to date, but flat-out wrong. Anyone who follows this plan, from start to finish, will have a better understanding of SEO than most. And in case you were wondering, yes, I’m hiring. Inspired to create your own MOOC? Google offers an online course kit to help anyone to plan and design a course.